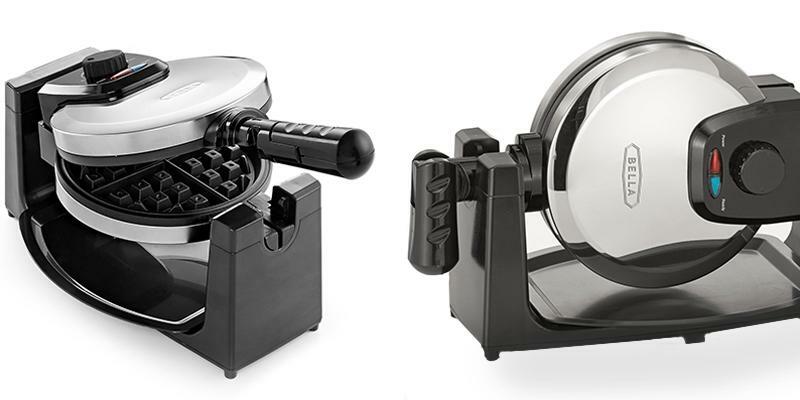 Its dual function base rotates through 180°, to evenly spread batter, besides, you can lock it in a vertical position for storage. The timer only lets you know that the cooking is finished but it does not turn off the appliance. This wonderful waffle maker can bake delicious Belgian waffles in 3 minutes after you turn it on. 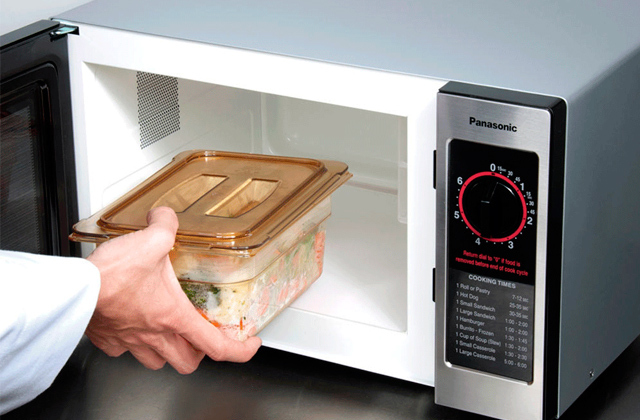 It is compact enough to fit any small kitchen. This Belgian waffle maker is extremely comfortable to use. Drip tray catches waste oil and batter droppings. Non-stick coated removable grids are easy to clean. Both grids and a drip tray are dishwasher safe. The baking time is a bit long for it makes rather thick waffles. If you have in mind a breakfast for two people, this Belgian waffle maker is just what you need. 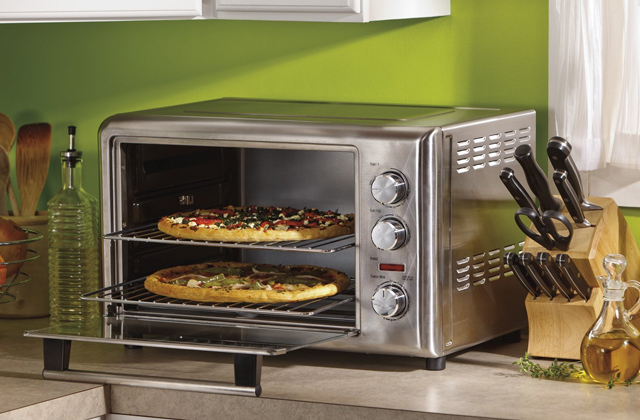 With its portable stainless steel design, this wonderful model will fit any kitchen. Incredibly easy-to-use, BELLA waffle maker is equipped with all necessary features to make baking waffles a breeze. What is more, it has a foldable handle and a detachable power cord for a convenient storage. Its Ready light might be somewhat inaccurate. The BELLA waffle maker is a functional appliance that allows easy preparing of delicious pastry or a waffle-shaped omelet. Enjoy the perfect breakfast! This model is available in two colors. 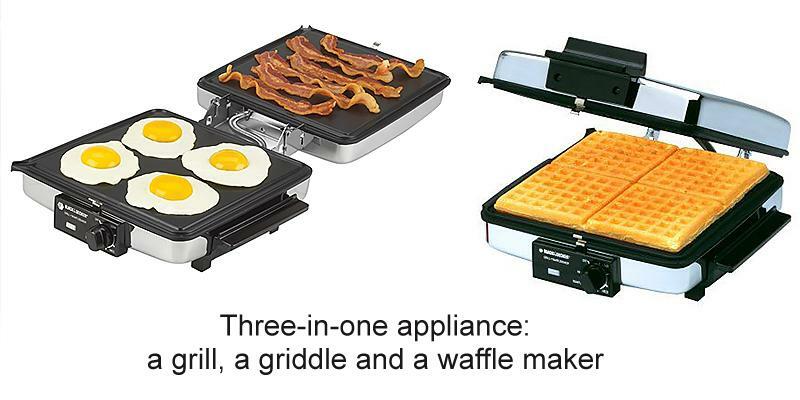 Multi-purpose three-in-one appliance: waffle maker, grill, griddle. 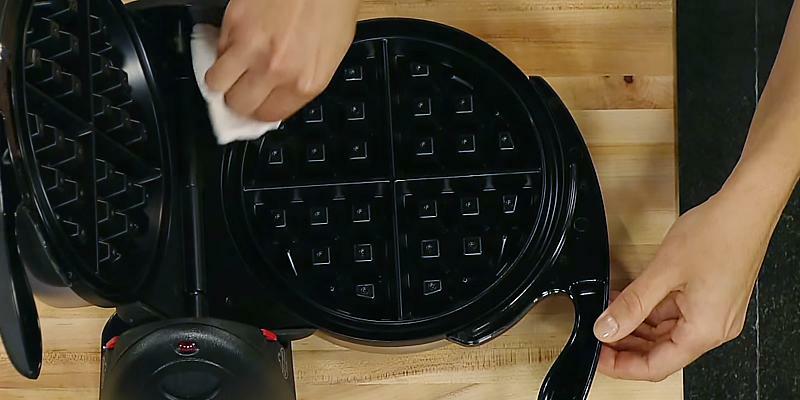 This waffle maker can be flipped over to fry on both plates, so you can cook more food at the same time. 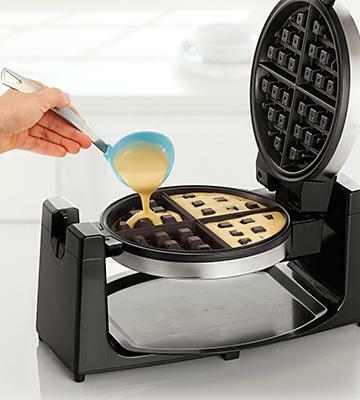 The housing heats up, you can only touch the stay-cool handles while using this waffle maker. 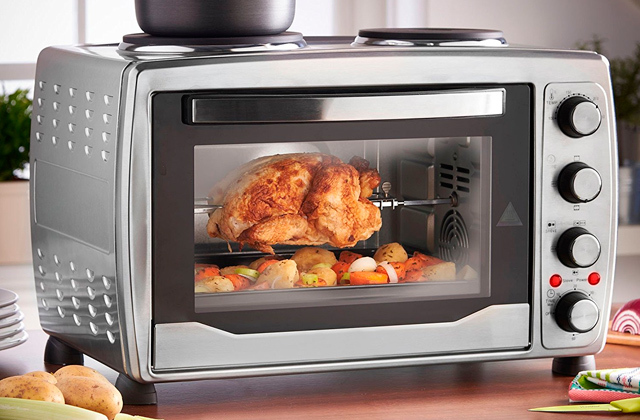 A perfect appliance to cook a breakfast or lunch for a big family: everyone gets his/her favorite meal! 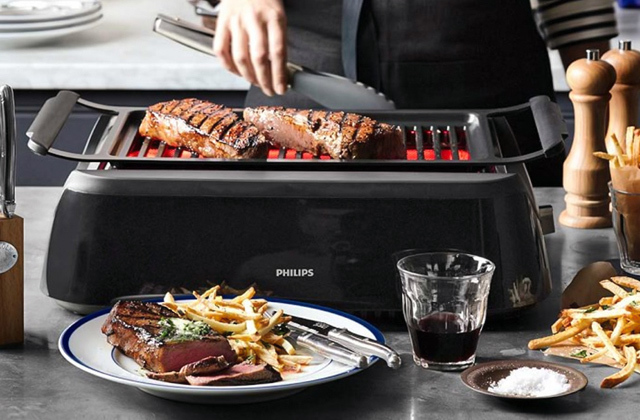 You can bake waffles, grill a sandwich or steak, griddle bacon and eggs. You can bake 2 Belgian-style waffles at once! One-inch deep pockets provide plenty of room for syrup or any other topping. The design is somewhat bulky. 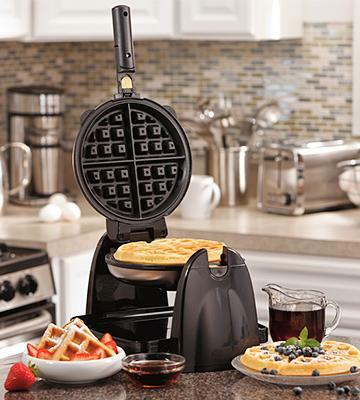 This Belgian waffle maker is a perfect choice for a big family! It is very simple to operate, even your children can help you cook the family breakfast. 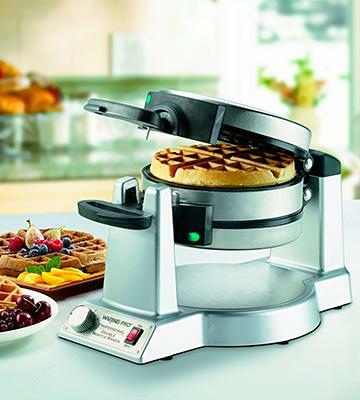 The Presto 03510 FlipSide Belgian Waffle Maker is perfect for baking Belgium style waffles. The cooking grids are shaped to cook a 7'' diameter waffle that can be easily divided into four sections if you prefer to cut them. That is how you get delicious Belgium waffles, crispy outside and fluffy and tender inside. Fill their deep pockets with your favorite toppings and enjoy the best breakfast ever! 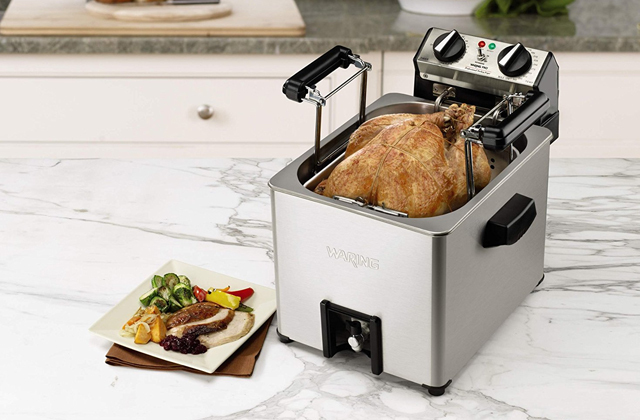 The appliance has a 1350-watt capacity and it takes only 4 minutes to cook one crispy waffle of medium browning. 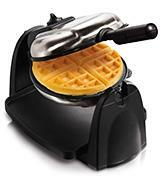 The longer this wonderful Belgian waffle maker works, the more it heats up, and the quicker the next waffles are baked. You can vary the baking time from 1 to 30 minutes with its countdown timer. 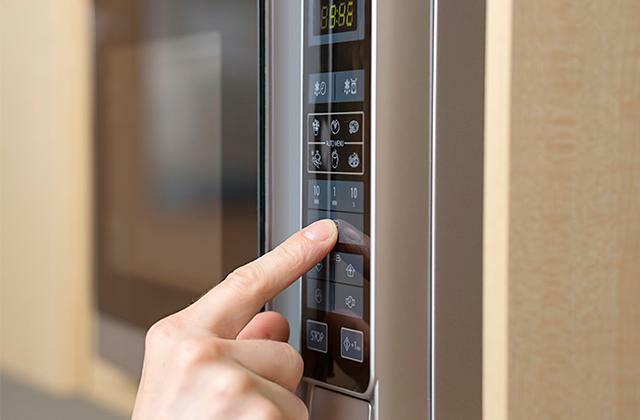 When the time is up, the appliance does not turn off but makes an audio signal. Its rotating design will help you spread the batter evenly, and the LED indicator light will let you know when to start baking. The Presto 03510 FlipSide Belgian Waffle Maker is easy to store due to its compact design and side locks to fix the waffle maker in a vertical position. 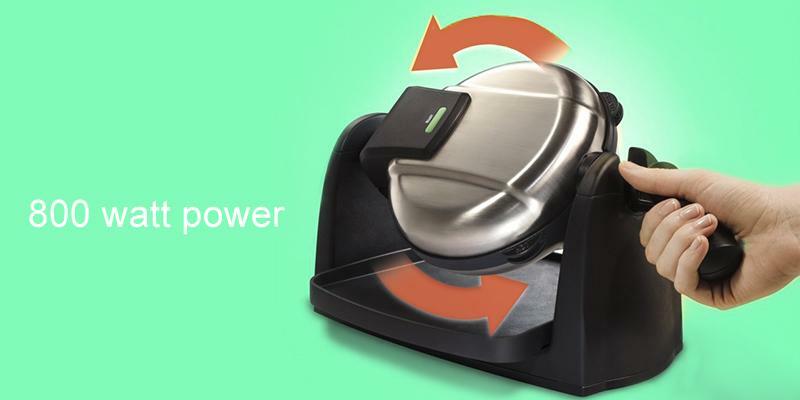 Please, make sure there is enough space in your kitchen to use this appliance, for it rotates not along the axis, but flips from one side to another. To clean this Belgian waffle maker, just wait till it cools down and wipe its stainless-steel exterior and non-stick interior clean. Hamilton Beach 26030: 9.06 in. BLACK + DECKER 3-in-1: 6 in. 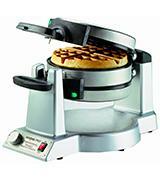 The Hamilton Beach 26030 Belgian Waffle Maker is designed to cook 7'' diameter fluffy Belgium waffles. Breakfast is an important meal of the day, why not cook healthy and nutritious Belgium waffles with special pockets on their top to hold some of your favorite jam or syrup? You can vary the batter and prepare a wide range of toppings to go with your waffles, and your breakfast will always be new and delicious. 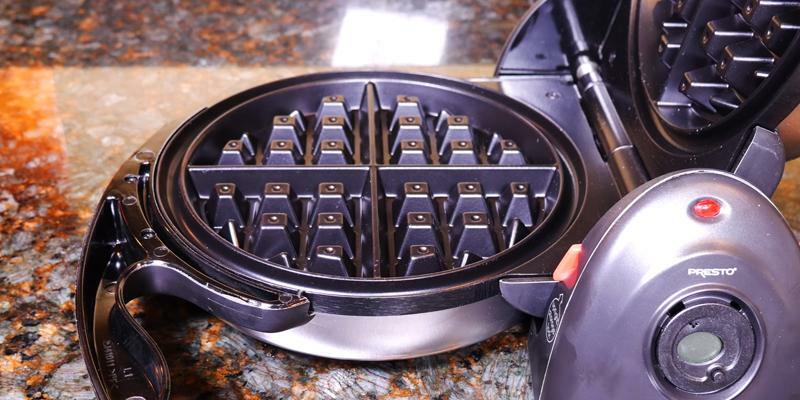 This electric waffle maker will provide you with tasty, evenly baked waffles whenever you want one. Ultra flip design and adjustable browning control will help you bake the perfect Belgium waffles, soft and fluffy inside and crispy outside. 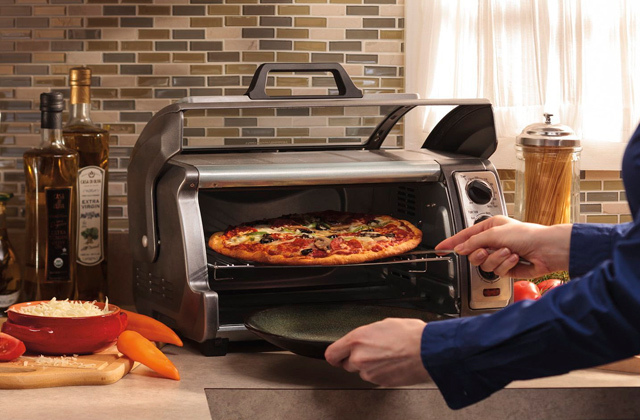 The appliance has an 800-Watt capacity which is quite enough to cook waffles for two people. You can cook a romantic breakfast for your significant other. 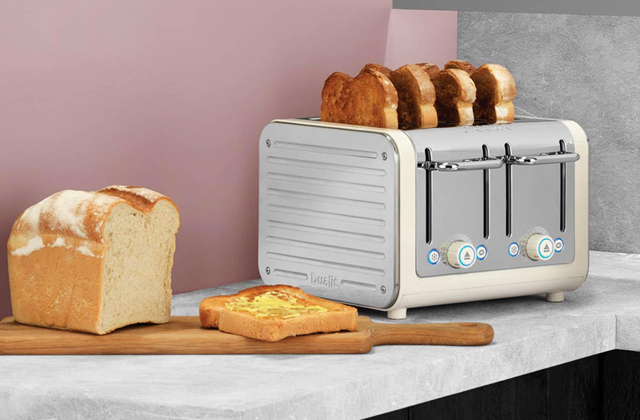 Power-on and ready to cook LED indicator lights will make cooking Belgium waffles easy enough to make coffee or freshly squeezed juice at the same time. 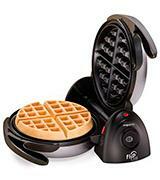 This round Belgium waffle maker is quite portable and convenient to fit in any kitchen. Its foldable cool-touch handle will prevent you from burning your fingers while you cook. 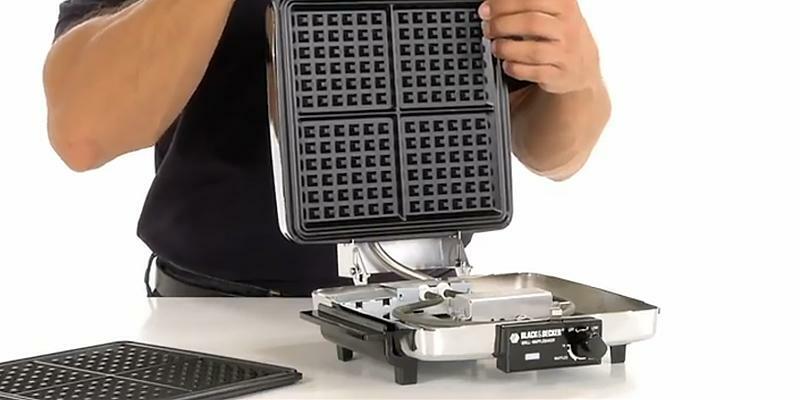 Removable dishwasher safe grids make cleaning this Belgium waffle maker as fast and easy as possible. A drip tray designed to catch waste oil and batter droppings is also dishwasher safe. Brushed stainless steel body is easily wiped clean. Hamilton Beach 26030: 9.9 in. BLACK + DECKER 3-in-1: 14 in. Most people adore waffles, but very few cook them every day. Why not get a waffle-maker to enjoy the crispy treat whenever you like! If you are looking for an easy-to-use and functional appliance at a moderate price, the BELLA rotating waffle maker is just what you need! In addition, the device is very easy to store and transport. Portable size, detachable power cord, foldable handle – the BELLA waffle maker has everything to be appreciated in a small kitchen! The item is equipped with all necessary features to bake the most delicious Belgian waffles in no time. Handy indicator lights make the operation as simple as possible. A little bit of practice and you will get perfect results each time! If you are going to taste Belgian waffles in Belgium, you can be misunderstood by local people. Brussels waffles, that's how they call the treat! This much-loved waffle type was first introduced at Expo 58, (the Brussels World’s Fair). In 1962, a Belgian cook Walter Cleyman presented a new delicious pastry with strawberries and whipped cream at the Seattle World's Fair. However, the simplified version of Brussels waffles was first called 'Belgian' in 1964 at the New York World's Fair. Today, anyone can enjoy this awesome crispy treat with deep pockets filled with their favorite topping! Belgian waffles have become the most appreciated breakfast that you can serve with anything you like! For precise and convenient ingredients measuring, try one of the wonderful measuring cups. 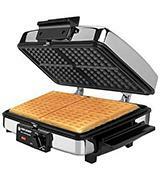 The BLACK+DECKER G48TD 3-in-1 Waffle Maker & Indoor Grill/Griddle is a wonderful three-in-one appliance: a waffle maker, a grill, and a griddle. It bakes waffles of the American type. They are thinner and crispier compared to Belgium waffles but, you know, tastes differ, and American waffles have plenty of admirers too. 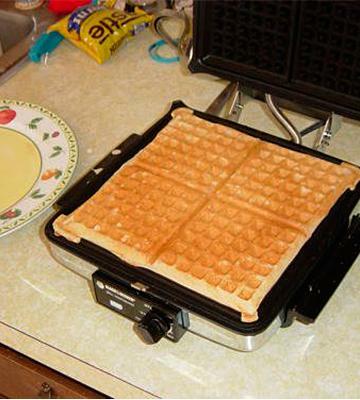 Upon using this versatile waffle maker appliance, you can bake four 4'' square waffles at a time. An ideal solution for a big family. 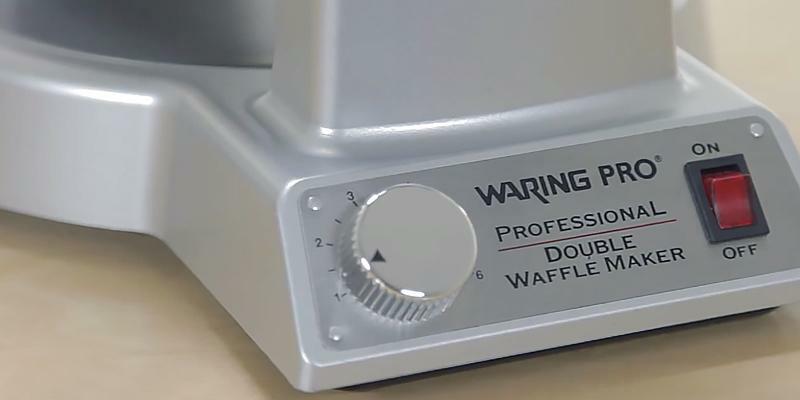 This waffle maker has enough settings for cooking delicious American waffles with a nice browning. 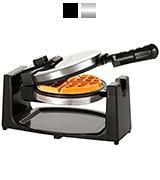 Note that BLACK+DECKER G48TD 3-in-1 Waffle Maker & Indoor Grill/Griddle is a multi-functional appliance. 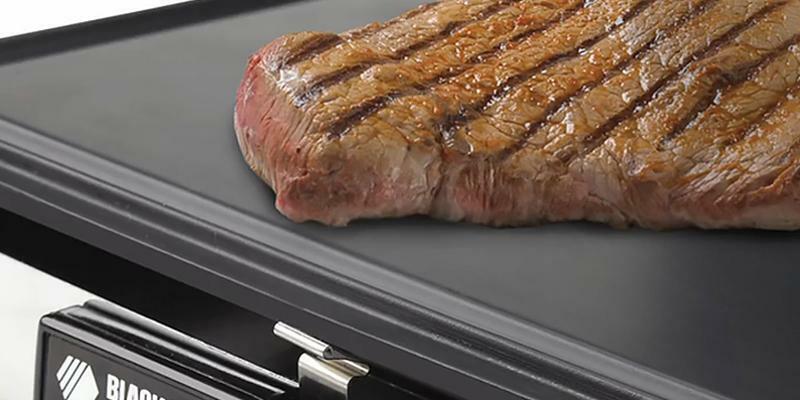 The plates can be flipped around to cook sandwiches and steaks. 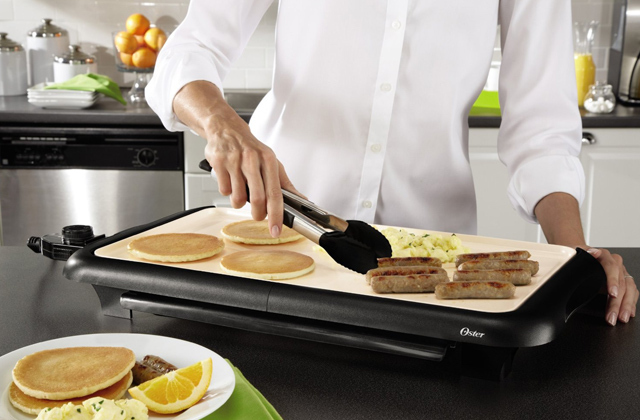 Or it can be laid down to form a griddle to cook a bacon and eggs. 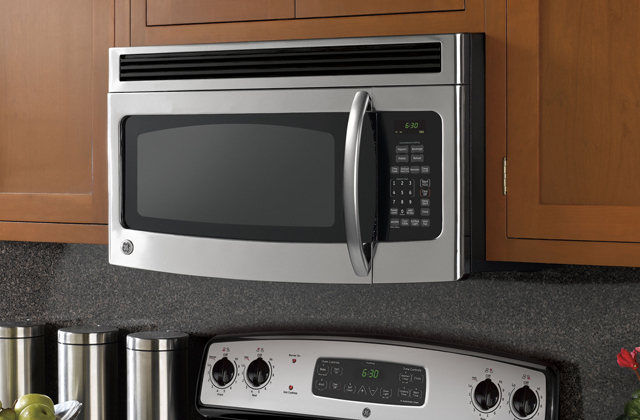 A 900-watt capacity is enough to cook a yummy breakfast for a family. Please note that the appliance gets hot during cooking and you can only touch the stay-cool handles. The BLACK+DECKER G48TD 3-in-1 Waffle Maker & Indoor Grill/Griddle has removable non-stick coated plates which make it easy to clean. You can just wipe their surface or remove plates to clean the channels which direct grease into the corners of the griddles. You can wash and scrub them under the tap water (dishwasher is not recommended). The appliance can be fixed upright for convenient storage. The Waring Conair WMK600 Double Belgian Waffle Maker is a perfect choice for baking classical Belgium waffles. There is something that makes the usage of this wonderfully designed appliance a double pleasure! That is, you can get two thick Belgium waffles at once, and they will be light and fluffy inside, but deliciously crispy on the outside! Extra deep 1'' pockets can hold maximum syrup, jam or any other topping you would choose. 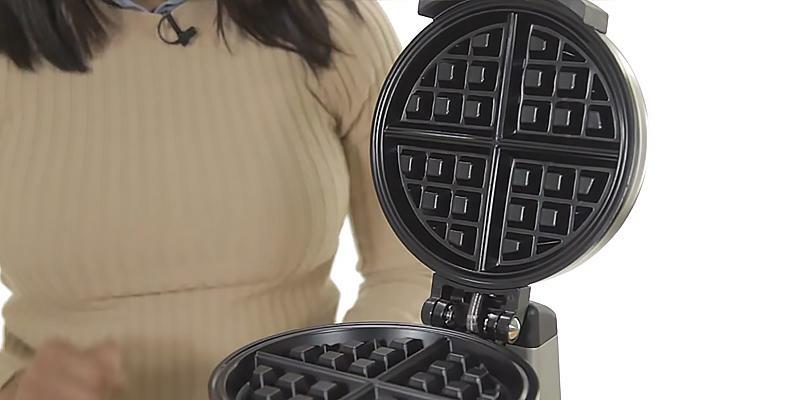 This Belgium waffle maker consists of two sections to bake two waffles at the same time. 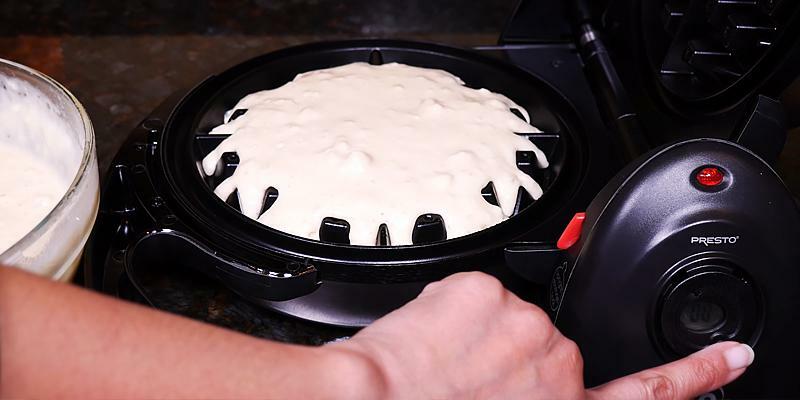 It has a rotating function to spread the batter evenly on both sides. 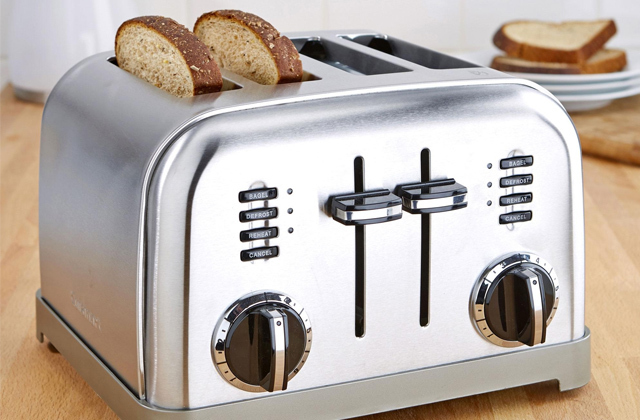 An adjustable thermostat with 6-level knob will let you bake your waffles to your favorite shade. The appliance has a variety of light and audio beep indicators to let you know when to pour the batter and when the waffles are ready. So you can make your favorite dainty with no fuss. A 1400-watts capacity allows cooking many waffles in no time and makes this waffle maker the best choice for a big family. The Waring Conair WMK600 Double Belgian Waffle Maker has a dull-finished stainless steel housing, perfectly fits any kitchen and is easy to wipe clean. A simple on/off toggle switch and reliable handles make its usage very convenient. The grids can not be removed but they are easily cleaned with a wet cloth or a soft dry brush. 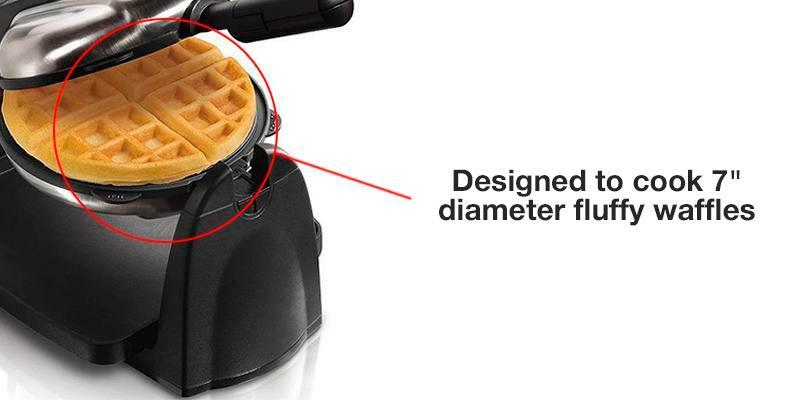 The waffle maker comes with a measuring cup to add as mush batter as you need. Fresh crispy waffles is a well known and appreciated family breakfast. Luckily, you do not have to spend so much time and effort on cooking them as you had before. Before, you had to always keep your eyes on the stovetop waffle maker to cook a well-baked pastry. 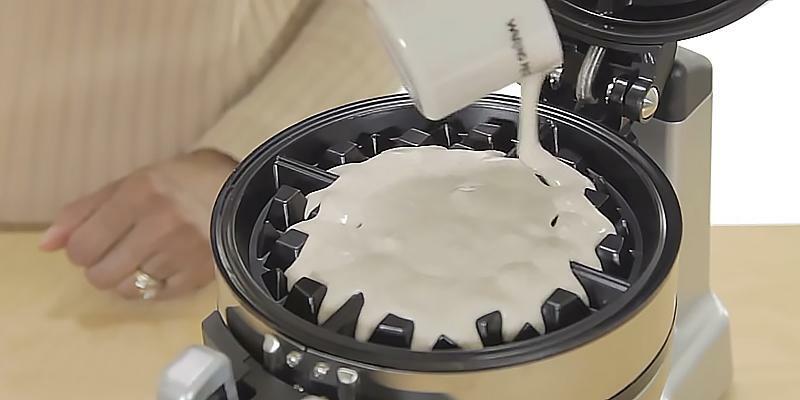 And now you can buy an electric waffle maker and you will surely enjoy your breakfast making! Just prepare a batter and even a child can bake delicious waffles. We have selected the best 5 waffle makers for you to choose the perfect appliance to cook your breakfast. 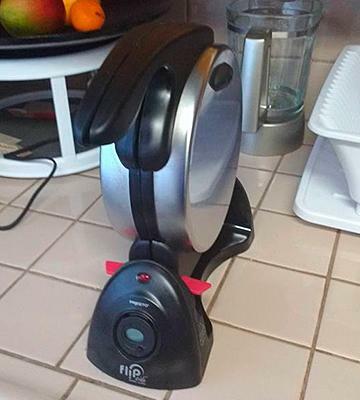 You will definitely find the one you need in this waffle maker review. Serving waffles with a mug of coffee (or a glass of freshly squeezeed juice for kids) is a good start of a day. 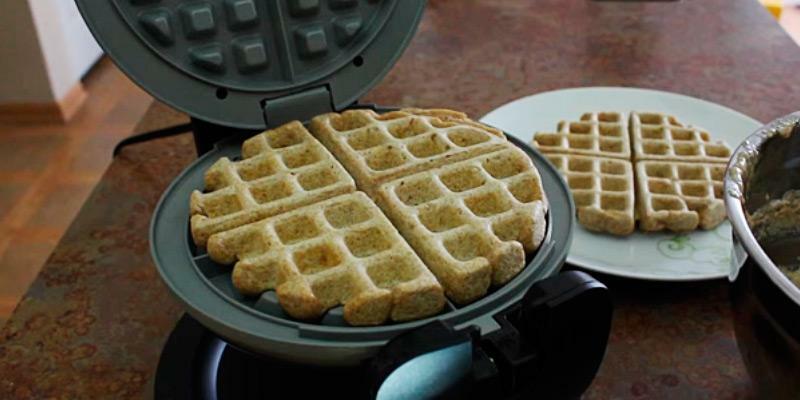 When choosing a waffle maker, consider what types of waffles you’d like to bake. Different waffle makers bake a different number of waffles at a time, so make sure you’ve got the right appliance for your family needs. The majority of waffle makers are used to bake either Belgian or American waffles. This is where it all comes down to your own preferences. If you prefer thicker waffles with deeper pockets to hold more topping, you should definitely stick to the appliance that bakes Belgian waffles. American waffles will be thinner yet crispier and more browned. The shape and size of waffles differ but hardly affects the taste, so you’re basically free to choose whichever is more right with you. There are also waffle makers designed to bake animal-shaped waffles. If you’ve got a little one, you must know how difficult it can be to make your child have his/her breakfast in the morning. However, with a nicely shaped and browned piece of waffle on a plate, this problem will go away. After you've decided on the desired shape and size of waffles, please, pay attention to the heating system (including indicators and signals) and capacity, which would help you bake fluffy, delicious waffles quickly. The main challenge of waffling is to have waffles evenly baked, crispy and nicely browned. This is primarily achieved by using rotating waffle makers. When the batter is spread and the lid is shut, the housing will rotate through 180 degrees, evenly distributing the heat throughout the internal cooking surface. 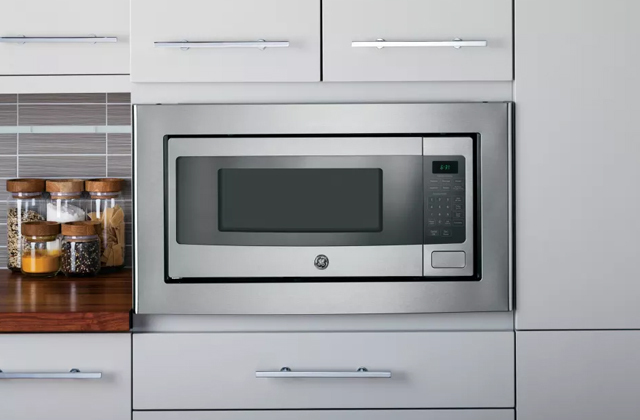 The included thermostat will maintain the pre-set temperature while the option to adjust the heat will let you bake your waffle to the desired browning shade. These features are great for baking waffles of different crispiness and structure and please the taste buds of dear and near. Varied indicator lights and audio signals will let you know when it's time to add batter and when your waffle is ready so you will get a well-baked and crispy dainty. The higher the capacity of a waffle maker, the more people can enjoy delicious waffles at a short length of time. Please note each waffle maker's conveniences and material, it will help you choose an easy to use appliance. 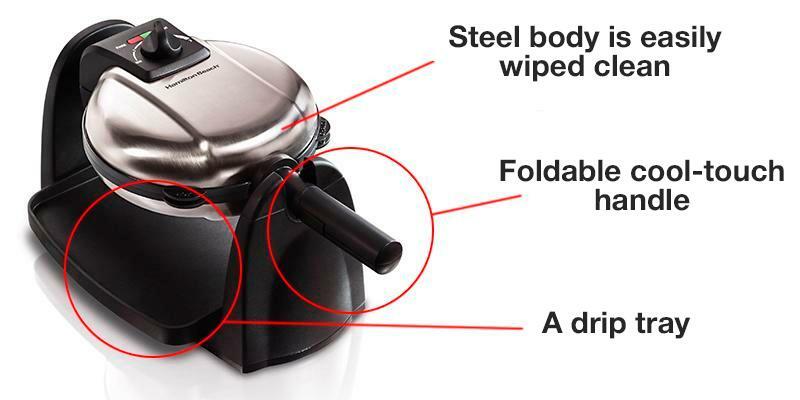 The service life of waffle maker depends on the material of its housing and cooking surface, which you can easily wipe clean. A non-stick coating will help you detach the waffle easily and you can add another cup of batter almost at once. Some waffle maker models have removable dishwasher safe grids, making this appliance even more convenient to use and clean. Cool-touch handles will protect your fingers from burns. There are also waffle makers models that can be stored upright. If you've got a small kitchen, this option is the best for you. 1. Lisa Maloney How to Buy a Waffle Iron, ConsumerSearch. December 8, 2015. 2. Waffle, Wikipedia. August 24, 2016. 3. Cindi Pearce How to Choose a Waffle Maker, Catalogs.com. 4. Julie R. Thomson The History Of The Belgian Waffle, Which We’ve Apparently Been Eating All Wrong, The Huffington Post. February 2, 2015. 5. Mr. Brown The Difference Between Waffles and Pancakes, Alton Brown. January 8, 2015. 6. Gabriella Vigoreaux and Lauren Katz 17 Genius Things You Can Make in a Waffle Iron, Good Housekeeping. June 7, 2016. 7. Chris Schonberger Eating History: A Brief History of Waffles in America, First We Feast. March 18, 2014.